Do you wish you could remove your permanent inking? Perhaps it features a name from the past or maybe your simply bored it its design? It may even be affecting your employment opportunities. Decorative tattoos have a history dating back at least 5,000 years. The desire to remove them has probably existed just as long. 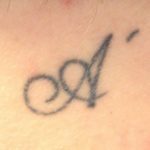 In the past, the techniques used to remove tattoos have presented inconsistent results and included do-it-yourself creams, Intense Pulsed Light Therapy, dermabrasion, fading with saline, or the option of having a ‘cover-up’ tattoo. 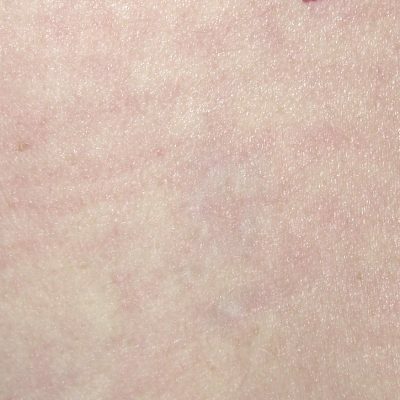 At the Chiltern Medical Clinic, we offer laser tattoo removal, which is one of the most reliable methods of tattoo removal and carries a low risk of scarring. 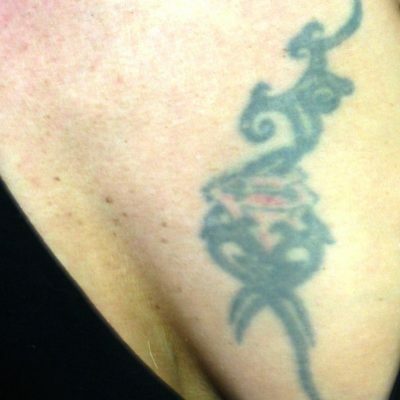 Using a laser, we can significantly lighten or remove many tattoo inks, especially blue, black and red inks. You may already be aware if you’ve had one that tattoos are made up of inks or pigments that are injected under the skin to form a picture. 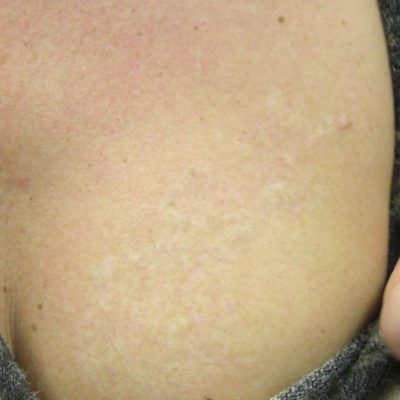 Over time, the body surrounds these particles with a protective wall of collagen – a natural protein in the skin – sealing the particles permanently into position and ensuring that the tattoo remains. A laser removes tattoo ink with the energy of light. Just as natural sunlight is made up of light wavelengths of many colours, a laser is a device which is designed to produce one or more specific wavelengths of light. These wavelengths are either absorbed, reflected or simply passed through objects. Tattoo ink is removed by using a specific wavelength, which passes through the skin but is absorbed by the ink. 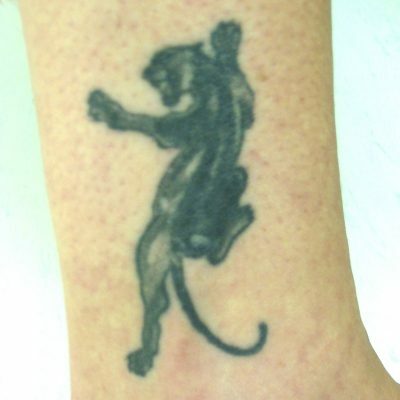 The rapid absorption of light energy causes the tattoo ink to destruct, after which it is removed by the body’s natural filtering systems. Medical research has taught us which wavelengths of light to use and specifically how to deliver the laser’s output to best remove tattoo ink. A few days after the treatment, the colouring of your unwanted tattoo will begin to fade, illustrating that laser therapy is effectively breaking down the unwanted pigment or colouring in the skin. 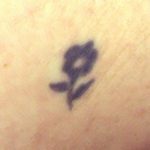 However, you may need several laser tattoo removal treatments, depending on the size and colour of your tattoo and the type of laser used. 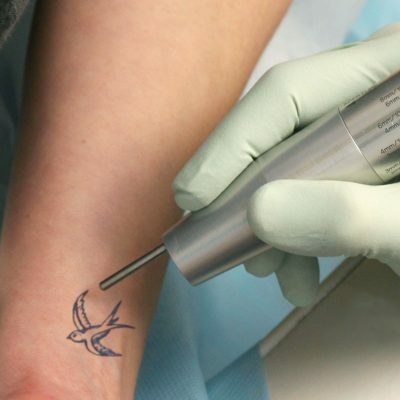 Laser tattoo removal is particularly effective on black, blue and red inks and tattoos done with Indian ink can be resolved in as little as 2 treatments. Green ink is the most resistant to laser treatment. To set realistic expectations for your treatment, we would need to see you for an initial consultation to allow us to assess your tattoo, its size and colours. Each treatment session usually takes less than half an hour. During your free consultation, we will fully explain the procedure, expected number of treatments required, and pricing, which will depend on the size and complexity of your tattoo.